IFD: We asked our good friend Sean Martin, Irish bass fishing expert and all round gentleman, about the patterns of his bass catches of 2016 here’s what he had to say…. 2016 was just like every other year as in it was different to the year previous in terms of catch patterns. A few new marks fished and a few different lures used. 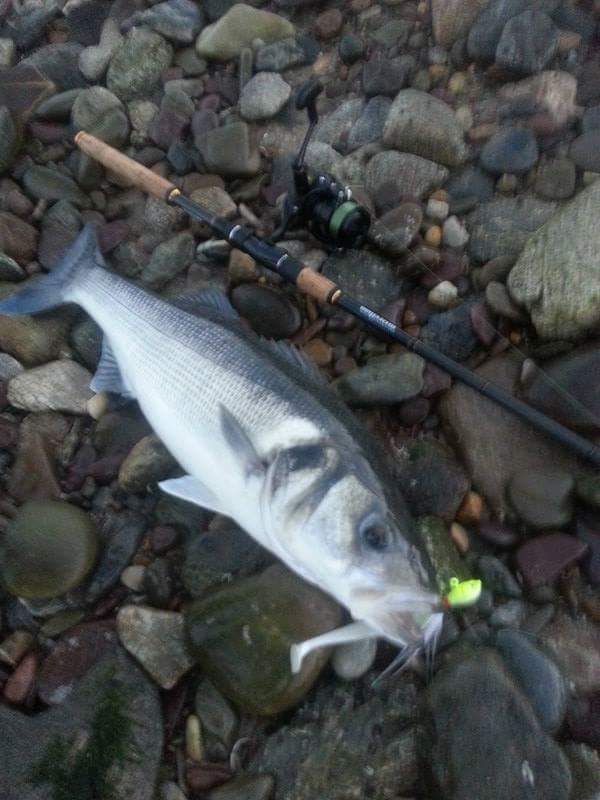 A settled spell mid March kicked off a return to half decent water clarity so the lure rod was dusted off and a few dawn sessions resulted in my 1st few bass of the year. Small paddle tail eels worked slowly doing the trick . I also was aware of some lads having whopping great sessions on bait so the bass were “there and hungry”. A bit of a rough spell of weather put the lures away but a clearance late april into May in prime time and with no bass ban in place it lived up to expectations with some nice catches once again paddletail eels and grubs taking the majority of fish. Once June came, I changed my fishing and started to fish dusks a bit more and if the weathers good I tend to fish into darkness with plugs either floating or sinking. It helps to see sandeels all over the beach marks with even small cod being taken on plugs close in. I lost a few good fish on these marks in darkness this year with the fish hitting the lures like a train and just ripping off the hook hold, I also landed a few decent bass no giants but electric night fishing. Just a week before the lure festival I had a few hectic sessions at dusk with 2 decent bass memorable for different reasons. The 1st fish took the plug over a fairly lunar landscape felt really decent and in an instant I had a loose ball of braid floating above the bail arm as the spool went into freespool “damn reels”. The obviously decent bass picked the largerock in the breaking waves to hide behind while I had multiple heart attacks regaining and untangling the braid “afro” on the reel. Somehow it came good and as I tightened on the fish as if scripted it came out from behind the big rock still attached to Mr. shambles rod and after a few minutes had it directly in front of me tired and ready. 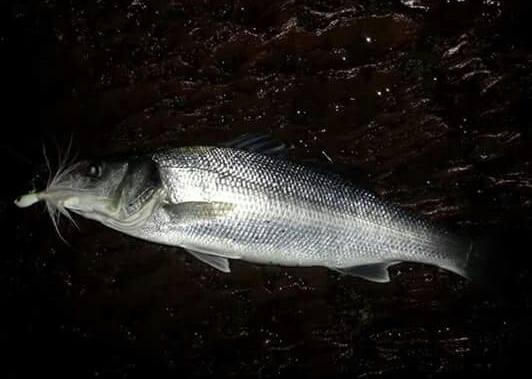 My good fishing buddy Declan Halpin was beside me and the 2 of us gasped in awe in the darkness as my headlight lite her up, a cracking fish just under the 10lb but amazed to actually land it after the shenanigans. A few casts later on the same spot bang…… and zzzzzzzzzzzzz. Never had a fish tore off like that, it just kept going and going the drag singing all the way and the rod U shaped. In my head though thoughts of 12lb-14lb were floating about. This thing was going bloody mental and felt twice the fish of the previous 9.5lber. 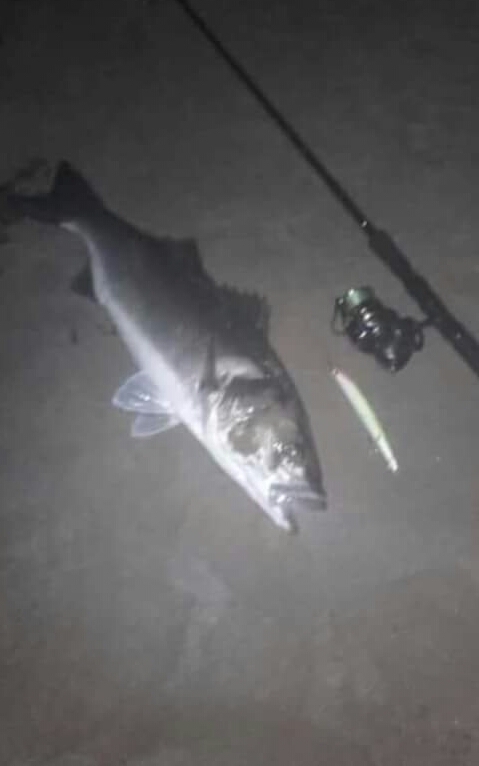 Finally after many zzzzs and praying I got her in front of me, I slid her up the beach and a fish of about 7lb greeted me and I didn’t know whether to laugh or cry. What a scrap, best ever fight but I was expecting a silver cavity block. Afterwards I was delighted as sense kicked in. I wouldnt turn down 7lb anyday or 1lb for that matter. The lure festival came and went, conditions were more or less ideal a nice chop on the water with decent clarity. It was great to see the usual suspects out and about lets hope it happens again in 2017. 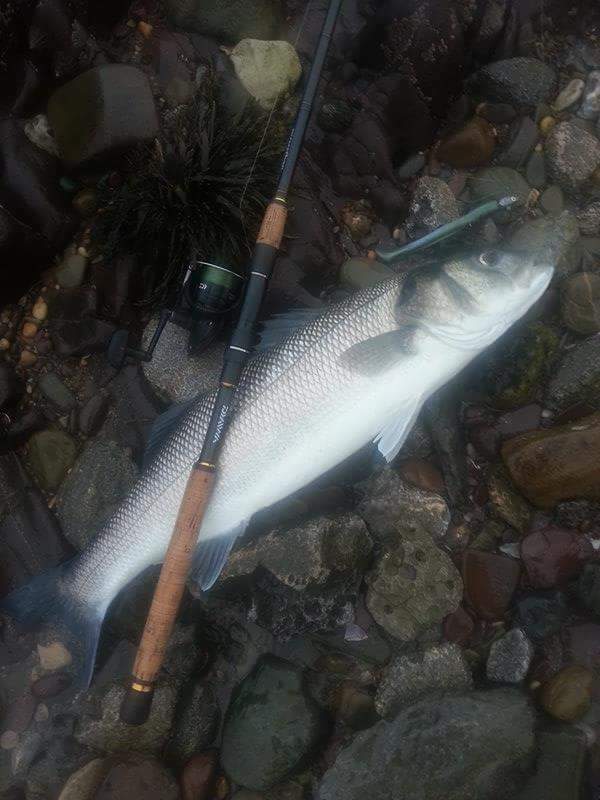 I kicked off into a fish just under 70cm after an hour, but another schoolie was all after that, but its about much more than the fishing and it was great to catch up with gang with lads coming out of the woodwork to fish it. After that the summer drifted by fairly fast with some good night sessions and blanks too. 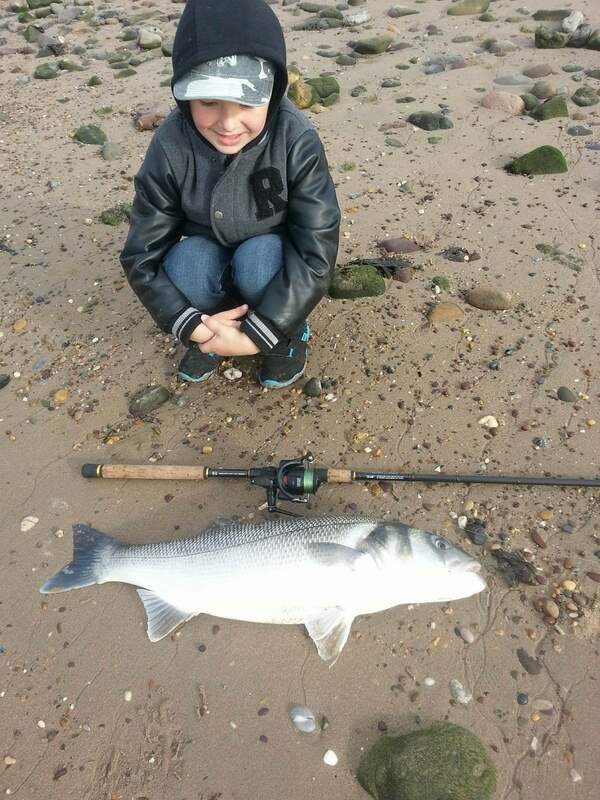 Autumn appeared on the horizon and there was some cracking fish being caught in Dungarvan bay with doubles galore. Hopefully I would get my crack at the double cherry so after a slow September with moving house etc. the pathway cleared and proper autumn fishing began and yes I got the cherry about 3 times in fact. 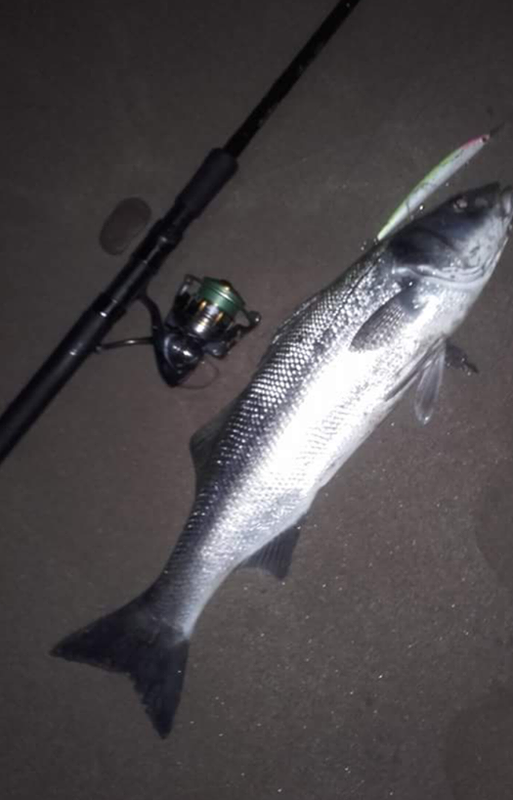 What’s funny for me when I look back at said 3 fish is that they were on very different lures at very different locations so you would wonder was the whole coast just alive with big fish or was it say that big fish that had maybe been in Dungarvan bay were now moving down the coast. There was a couple of lads over on holidays from the UK and were having dream bass fishing, but they worked so hard for their fish that they deserved every one as they had taken a chance on the trip also. I was hitting fish wherever I went and when the fishing’s that good I get into my own personal full lure nut mode and squeeze as much fishing in as possible especially with Winter approaching. A couple of dawn sessions with Darren results in a nice brace of 7-8lb fish horseing their way downtide with bucktails hanging from their gobs. My best fish came as I least expected it. Despite all the theories and lures etc. It was so simple and shouldn’t of happened so I’m burning the theories I’ve amassed over the years. With the kids on midterm break the 1st week of November the waters were 90% clear coupled with bright sunshine. My son was showing signs of boredom so a quick offer of fishing with Dad is accepted straight away and off we go. 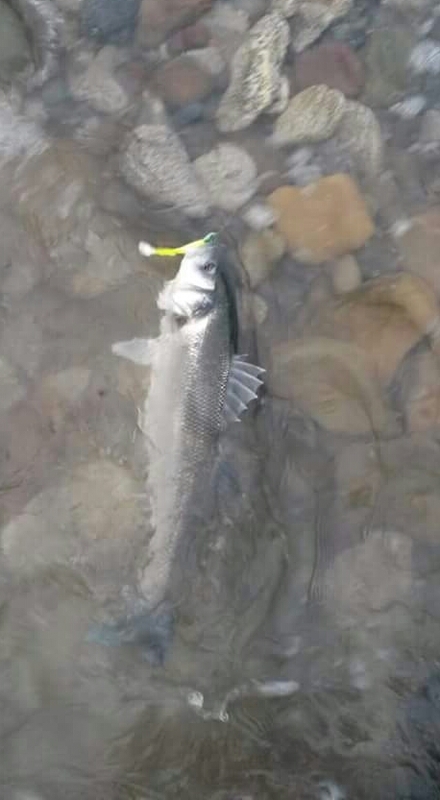 Simply trotting fiiish minnows into the tide and letting the flow do the work. Two small bass in and we are both beaming when the rod is as close to pulled from my hands as ever before. A slow steady fight ensued and after much panic a stunning bass about 12lb is landed, almost carp-like in physique, a few photos taken and the old girl put back where she belonged. I just hope my son dosnt expect 12lbers every time ,it took me 10 years to catch my first double….. till next time……. 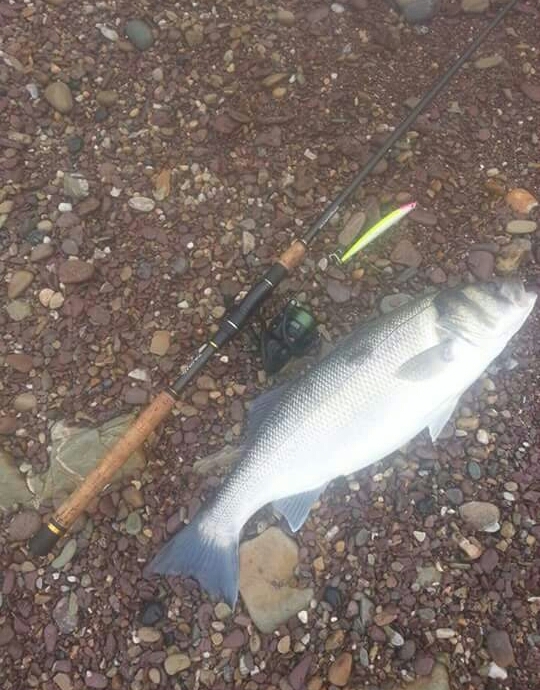 This entry was posted in Shore fishing and tagged bass, lure fishing, Sean Martin, Waterford. Bookmark the permalink.